From 1946 to 1951, Reverend Clyde M. Allison worked for the Presbyterian Church in the U.S.A. (PCUSA) Board of Christian Education in Philadelphia, PA, as Associate Youth Editor. 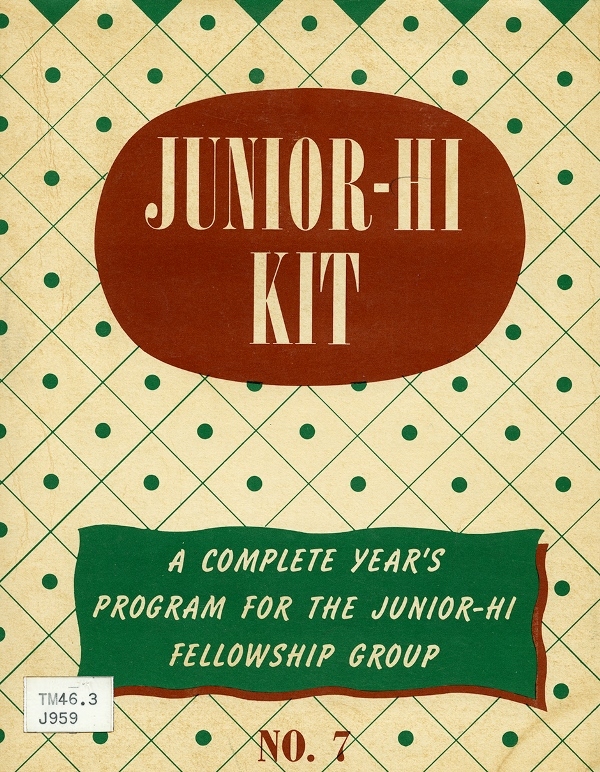 During his tenure, he published the popular Junior-Hi Kits, where the first inkling of the program that became Trick-or-Treat for UNICEF (United Nations International Children’s Emergency Fund) was born. 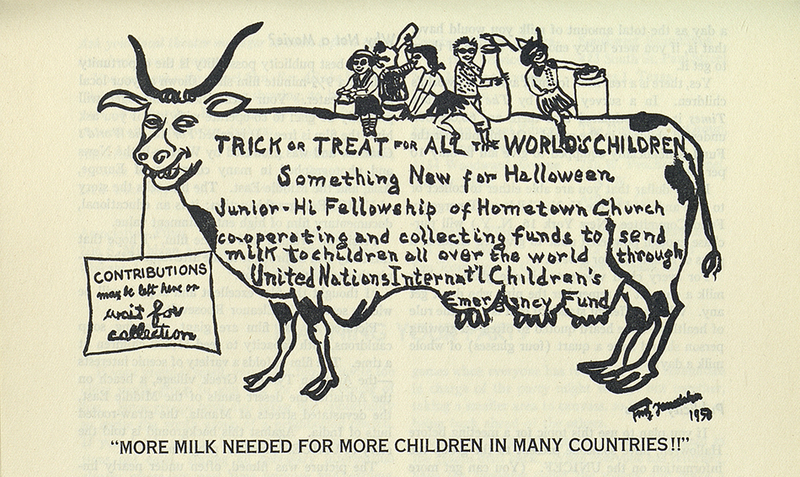 Read the beginning of the "Trick or Treat for all the World's Children" article here. 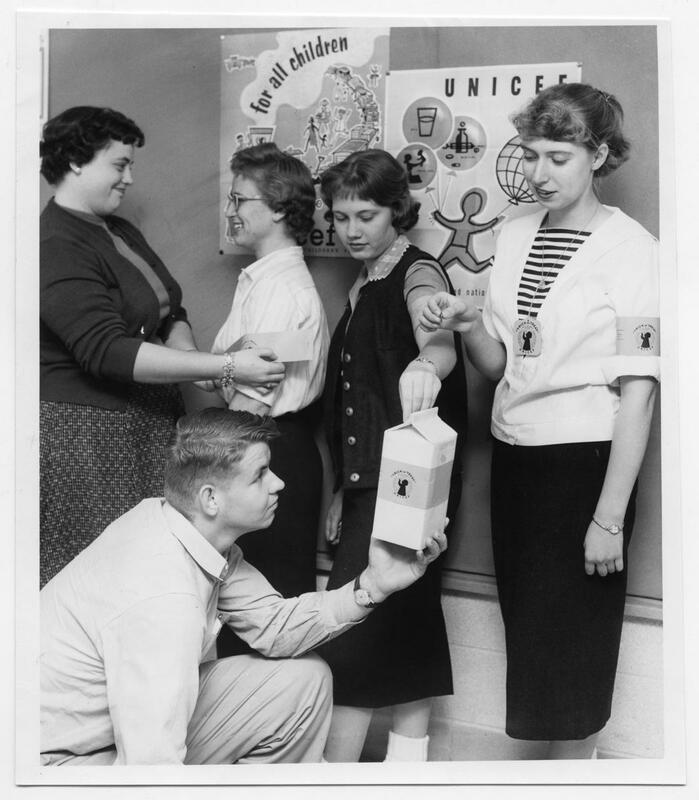 Early Trick-or-Treat for UNICEF collection box. 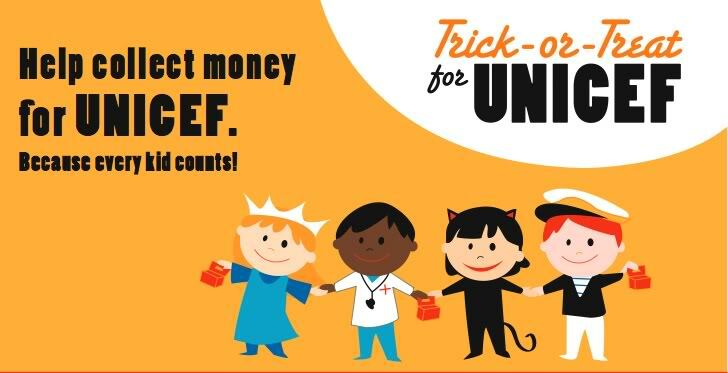 Kids Trick-or-Treating for UNICEF.